There’s an old saying that you can accomplish anything you want – so long as you don’t care who takes the credit. This is not just a powerful insight into human nature. It may also be the clue to solving Canada’s innovation problem. The consensus is that Canadians are great at coming up with new ideas, but we’re not so good at commercializing them. That’s the hard part: turning new insights into products and services that people want to buy, and then building smart, well-financed companies to profitably bring those products to market. In Atlantic Canada, however, a below-the-radar not-for-profit is finding commercialization success by helping other people turn college and university research into winning businesses. The secret to Springboard Atlantic’s winning record: it serves as a catalyst, bringing business resources and commercialization expertise to bear on ideas coming out of 19 Atlantic-region postsecondary institutions. As a government-funded community builder, Springboard CEO Chris Mathis doesn’t seek credit; he only wants results. Take the case of Fredericton-based Eigen Innovations, an internet-of-things (IoT) company that helps manufacturers reduce defects and boost productivity through machine learning and data analytics. The company was founded on thermal-vision analysis algorithms developed by Dr. Rickey Dubay, a mechanical engineering professor at the University of New Brunswick (now Eigen’s chief scientific officer) and one of his grad students, Scott Everett (now CEO). In fact, Eigen has raised more than $1-million in venture capital, and it’s now embedding its technology with Tier One automotive manufacturers and industrial equipment suppliers. The company won awards from industry leaders such as Cisco and Dell, and it has been named one of the 100 top influencers in the industrial Internet of Things. Starting a business is never easy, and bringing them out of university labs is a special type of hell. There’s no easy road. Researchers are often driven by curiosity rather than market need, and even when they develop a commercial idea, many would rather simply publish their results than turn them into a business. Most colleges and universities have technology-transfer officers, but their efforts are often frustrated by isolation within the halls of academe and a lack of business contacts. According to Mathis, a group of Atlantic universities saw these problems 12 years ago, and created Springboard to develop and share commercialization best practices. “They realized they should work together to build up their research, industry engagement and commercialization capacity,” says Mathis says. Funded by the universities, colleges and the federal government’s Atlantic Canada Opportunities Agency (ACOA), Springboard has a staff of five but serves clients directly and through a network of institutional industry liaison and technology transfer officers. Its role is to help on-campus commercialization and develop better relationships with faculty members, to sharpen their own abilities to analyze IP and evaluate market potential. In practice, Springboard also helps the network explore the process of commercialization with their academic colleagues, to determine their interest in partnering with industry, licensing or venturing into business themselves. The results speak for themselves. 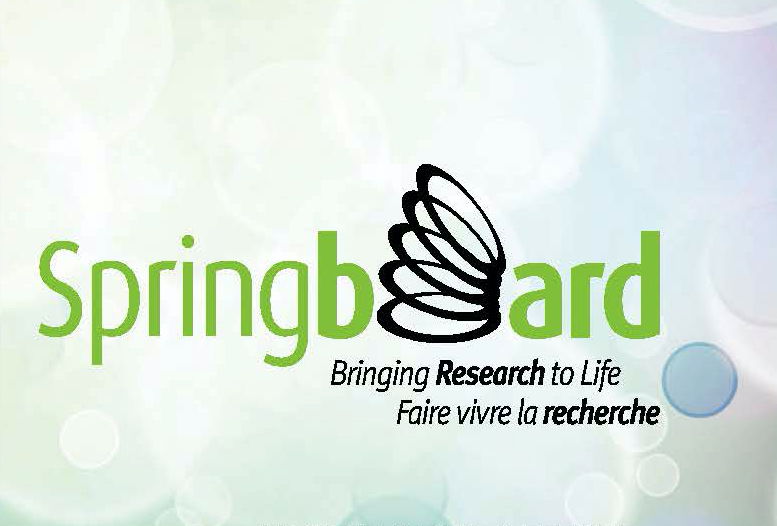 Springboard has been a catalyst in supporting the development of numerous Atlantic companies with global growth potential and impacts, from helping a Halifax firm that creates screens to protect pilots from exposure to lasers, to research in St. John’s that drew on Newfoundland’s population data to develop a technique for evaluating who should be screened for hereditary genetic heart issues. Mathis says Atlantic Canada is starting to develop global leadership in specific niches– not just ocean sciences and aquaculture, but sustainable energy, smart grid technologies and cybersecurity. Canada is always wrestling with its innovation gap. I think it’s because we don’t realize that successful innovation, while difficult, starts with fig a series of easy, practical steps. What can this discovery do? Who needs what it does? What will it cost to develop this product or solution? How much will the people who need it pay for it? No one academic, entrepreneur or hired consultant can answer all these questions. We need more catalysts like Springboard to explain the process, make introductions and help these solitudes find each other. Fear, ignorance, walls and silos are the enemies of innovation – not a failure of research or business will. We’re all better off when governments stop trying to pick winners, and invest in community and humble catalysts instead.